A clean and tidy bungalow in West Byfleet sold for 100% of market value. The sale demonstrated property auctions are not a sale of last resort. The seller had recently divorced and needed to sell the property quick in order to satisfy a court order. Although the property was suited for the private market, the seller wanted the security and advantages of a property auction sale. This sale shows auction is not a sale of last resort. Marketed and guided correctly, auction is a fast and transparent method of sale. Often an auction can outperform last marketed price. Because there is no price limit, its what someone will pay on the auction day. 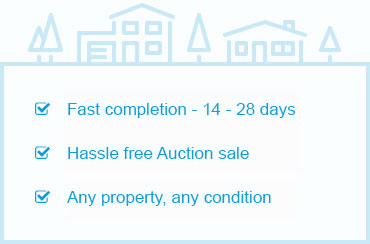 Let Sell by Auction provide you with free property auction appraisal and sound advice according to your specific Byfleet property. Simply call us on 0800 302 9441 or request a prompt callback by using the form below.